Backplane Systems Technology announces the release of a new range of fanless embedded computers. Backplane Systems Technology announces the release of a new fanless embedded computer from Neousys Technology. Backplane Systems Technology has introduced a new range of fanless embedded computers in an ultra-compact form factor. 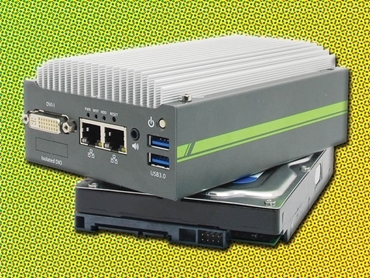 Neousys Technology's Atom Bay Trail fanless embedded computer, the POC-200 is a fanless PC controller with ultra-compact dimensions (146 x 102 x 58mm), about the size of a 3.5 inch hard disk drive. Powered by the new Intel Bay Trail Quad Core CPU, 1.91Ghz E3845, the POC-200 is capable of supporting a maximum of 8GB memory to meet the demands of high performance applications. 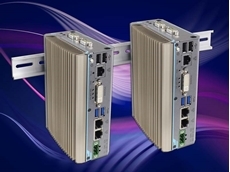 The isolated I/O provides users with connectivity for digital devices, while the interior design minimises compatibility and cabling issues. Embedded with Intel’s new Bay Trail processor, the POC-200 offers superb enhanced graphical performance that delivers faster high-definition graphics and supports other media conversions. The unique design of this 22nm CPU has created a more energy-efficient processor that draws less than 10 watts of power. 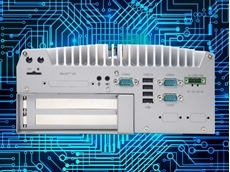 The POC-200 fanless embedded computers are excellent for image-processing applications such as video streaming, video surveillance, image mapping and visual inspection. 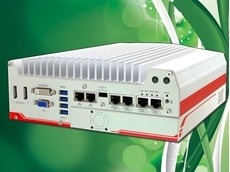 The POC-200 supports rich I/O interfaces, including 4x COM ports, 4x USB ports (3x USB 3.0, 1x USB 2.0), 4x isolated digital I/Os and 2x PoE Gigabit Ethernet ports. 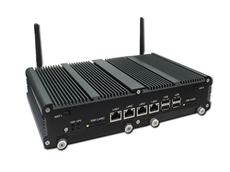 The POC-200 also provides one Mini-PCIe slot with one USIM socket for wireless requirements. The POC-200's PoE function is compliant with 802.3at (25.5W), with a total power budget for 2x PoE GigE ports up to 50W. The POC-200 integrated with the PoE solution allows users to easily add on different devices such as IP cameras for surveillance and VOIP terminals, and support other wireless applications. System integrators need not worry about external power supplies when connecting PoE network cameras. The POC-200 performance-enhancing mechanical and thermal design improves the heat dissipation more efficiently by utilising an aluminium alloy chassis. With industrial SSD storage, the POC-200 meets an extended operating temperature range of -20°C to +70°C suitable for harsh Australian environments.